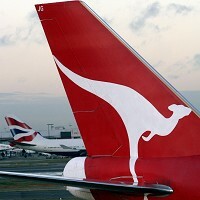 The flight schedule of Qantas Airways is to return to normal after receiving clearance from Australia's Civil Aviation Safety Authority, much to the relief of tens of thousands of passengers from across the world who suffered travel disruptions after the airline grounded its entire global fleet. Fair Work Australia granted the Australian government's application to terminate all industrial action, ordering 21 days of negotiations between the parties. If they fail to come to an agreement during this period, binding arbitration will take place. The row underlines the importance of having travel insurance in place. Alan Joyce, chief executive of Qantas, said: "The important thing is that all industrial action is now over and we have a certainty. "We will be returning to business as usual over the next 24 hours." Apologising to passengers for the disruptions caused after it grounded planes on Saturday, Qantas said on its website: "Please be advised that some flights may be delayed."